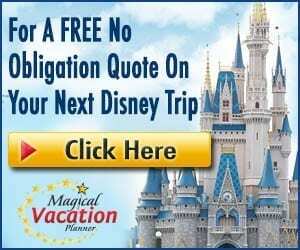 Walt Disney World’s mountains of Magic Kingdom, Big Thunder Mountain, Space Mountain, and Splash Mountain, are amazing attractions each thrilling in their own way. Big Thunder Mountain is definitely the most “rootinest, tootinest ride” found in all of Walt Disney World. The attraction lives in Frontierland at the Magic Kingdom. During the ride you take off in a train on the Big Thunder Mountain Railroad through the mine with many amazing thrills and surprises along the way. Splash Mountain is a beloved favorite, especially on the really hot days when guests want to beat the heat and cool off. The attraction is fun to watch from outside, as you can see the guests drop (and you might even get a splash of your own), but the ride is even more fun to ride! Space Mountain is a beloved attraction at Walt Disney World for so many guests. The attraction has been around for over 40 years and appears to be unwavering for guests in terms of popularity and their love and enjoyment for this roller coaster. It is a really unique and interesting attraction, too! These rides also hold various hidden secrets and extras that you may not have noticed, even if you have ridden the ride several times. Following are facts and secrets you may not know about Big Thunder Mountain, Splash Mountain, and Space Mountain. 24 – Big Thunder Mountain isn’t actually just made of rock. It might look like a huge rock mountain, but there is so much more than makes up the structure and foundation for the “rock” mountain. Big Thunder Mountain was actually created with 6,500 tons of steel, 90,000 gallons of water, 4,675 tons of the mud that was created to coat the structure and 4,000 gallons of paint that gives it the brownish, orange color that we see today with perfect details in the painting job. 23 – Barnabas T. Bullion or Tony Baxter? During the Big Thunder Mountain ride queue, you will see the portrait of Barnabas T. Bullion. He is noted as the founder and president of the Big Thunder Mining Company. The image in the portrait is actually an image depicted after Tony Baxter, who was one of the main Imagineers that is responsible for the creation of this amazing attraction. We love this amazing nod to Tony Baxter, and so glad that helped ensure that we have this amazing attraction to enjoy for year after year. 22 – You can trigger explosives on the mountain. Yep, you can actually trigger “explosives” to go off on Big Thunder Mountain. When you are in queue, pay attention to when you are in the Explosives Magazine room. There will be instructions for how to use the cranks and plungers to set off the explosions. Follow all directions and watch to see what happens. 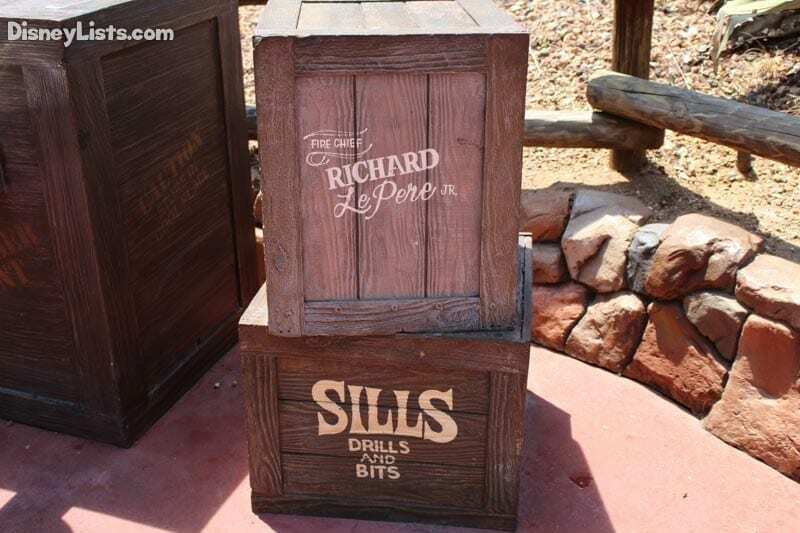 21 – The crate meant to be shipped to Fire Chief Richard Le Pere Jr.
Have you noticed the crate that sits next to the drinking fountain at the front of Big Thunder Mountain? The create states that it is to be shipped to Fire Chief Richard Le Pere Jr. Fire Chief Richard Le Pere Jr. is actually a real person, and a real fire chief. He is the fire chief at Reedy Creek Fire Department. This is important before Reedy Creek Fire Department is the fire department that services all of Walt Disney World Resort. 20 – A replica to Disneyland’s version of the attraction. The ride experience on Big Thunder Mountain at Disneyland and Walt Disney World are very similar but a bit different with new features recently being added to Disneyland. The actual mountain is larger at the Magic Kingdom as opposed to the mountain that lives at Disneyland. It still isn’t anywhere near as tall as Cinderella’s Castle, the tallest building at the Magic Kingdom. 19 – Antique mining equipment. Again with the amazing details. The mining equipment that you see within the site and around Big Thunder Mountain is actually real antique equipment that was purchased to ensure that the area looked like a real working mine that you might have seen in history books. 18 – The ride operates with 6 trains. There are actually six total trains that make up the Big Thunder Mountain Railroad family. Their names are: I.M. Brave, I.B. Hearty, I.M. Fearless., U.B. Bold, U.R. Courageous and U.R. Daring. What fun names to set the expectation of what is about to occur once your train leaves the station. 17 – On Splash Mountain you drop just over 52 feet! Yes, you read that right! You get to drop 52 thrilling feet during the longest drop on the attraction. If you time your ride just right, you could also see the amazing fireworks from the Magic Kingdom as you drop, too! You will definitely get a bit wet after you reach the bottom, too! 16 – Splash Mountain almost took a completely different turn. The original planned name for this attraction was actually “Zip-a-Dee River Run”. So how did we end up with “Splash Mountain”? Michel Eisner considered changing directions and wanted to promote “Splash”, the new (at that time) mermaid movie with Tom Hanks. He came up with the name “Splash Mountain” as part of the concept for that direction. The idea never took off, but the name stuck around! 15 – Splash Mountain is based on a movie that Disney has since tried to distance themselves from. Have you ever heard of or seen “Song of the South”? If you haven’t you won’t be able to find this one in stores and will have to look for a copy from another country. This movie received a lot of bad press over the years for being a racially offensive movie to African Americans with various considered to be racist slurs. The ride is the only reminder left of the movie that Disney has kept going. The ride doesn’t include any of the controversial issues and just focused on one of the stories that Uncle Remus tells. 14 – Brer Rabbit’s attempted demise on Splash Mountain is changed from the movie. In the original story from the movie, Brer Fox uses a “tar baby” (a doll made from turpentine and tar that appears to resemble an African-American baby) to trick him and resulting in him getting stuck in the tar. In the attraction, Brer Rabbit gets caught in a honeycomb instead. We are glad that they didn’t recreate the original story for the attraction, as it likely wouldn’t have gone over very well at all. 13 – Zip-A-Dee-Doo-Dah is the only remaining Song of the South song that Disney plays. So we already talked about how Disney really wants to forget about the movie “Song of the South” and what was included in it, but the song Zip-A-Dee-Doo-Dah is still a popular Disney fanfare that is played in the parks and appears on various soundtracks. It is the only song from the movie that you can find on soundtracks, even though other songs are heard during different sections of Splash Mountain. 12 – The drops are different at all 3 of the Disney parks. 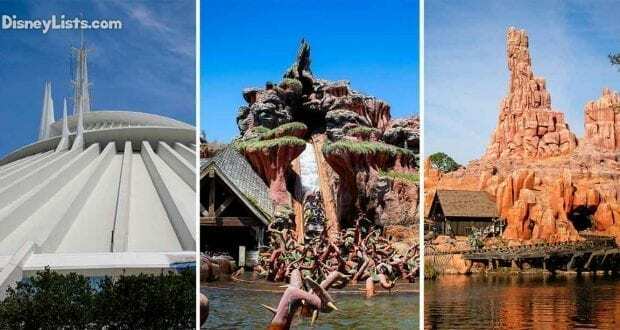 The height of the drops at each of the 3 locations that have Splash Mountain (California, Florida and Tokyo), but the amount of drops and the details of the drops themselves are different. The drops are at varying steepness, creating different ride experiences depending on which one you ride. I think this means that we all need to go to all of these locations and ride each one so we can decide which one is better! 11 – You will get wet! 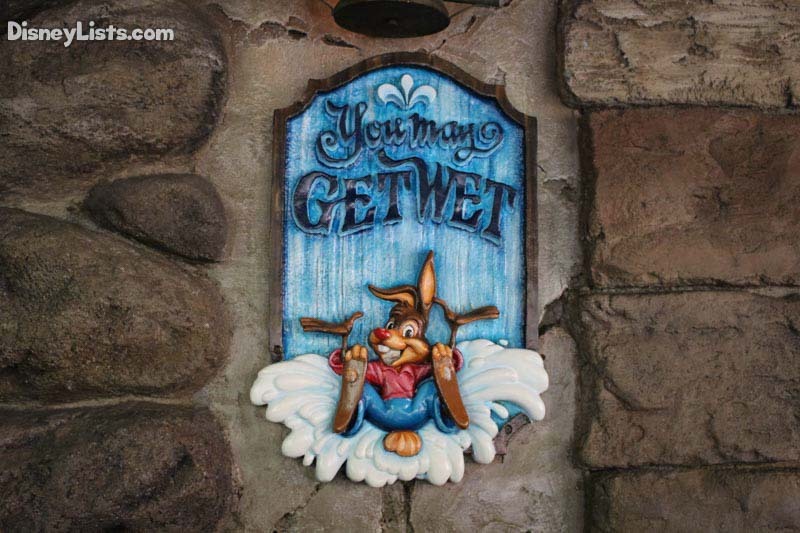 There are actually a few different points where you could get wet on Splash Mountain. There are geysers that shoot, waterfalls that could drench one side of your log vehicle, backsplash from the drops and more. To give you an idea, there is around 950,000 gallons of water in this attraction, so that is plenty of water that can end up giving you a big splash! 10 – What does the flashing street lantern in the loading area of Splash Mountain mean? You may have noticed that there is a lantern that flashes from time to time in the area where you are boarding your log vehicle. Well the big secret is…. It lets cast members know that the logs are about to move in the station so that they are prepared for guests to move out and the next guests to disembark. You will actually notice this in place on many attractions if you keep an eye out in the loading area. 8 – World’s first indoor roller coaster. Space Mountain was the first roller coaster to be enclosed entirely indoors. That was an impressive feat for the time when this roller coaster was constructed. This created a new way to look at roller coasters and now we see other indoor roller coasters around the world. Also, there are Space Mountain attractions at every Disney Park around the globe, too. 7 – FastPass+ and PhotoPass Space Mountain. This attraction offers FastPass+, so you can reserve a time to come and jump ahead of the line for this attraction. This is one of the attractions that is highly recommended to use the FastPass+ system if possible since the ride is extremely popular. The lines are almost always long, so if you can save a little time, it is a great use of a FastPass+ selection for the day. The ride is also a PhotoPass attraction, which means that photos are taken while on the ride. 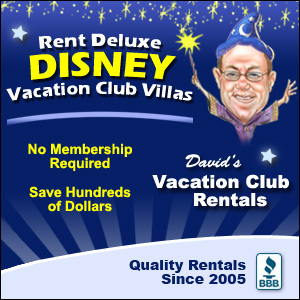 This is great for folks with Memory Maker since they get all ride photos added to their account with unlimited downloads at no extra charge. If you don’t have Memory Maker, you can still purchase the individual ride photos. Ride photos (and photos in general) are one of the best souvenirs that you can have, so it is amazing when you can capture a moment of the Disney magic in time. 6 – Structural beams are outside instead of inside. You will notice when you approach the massive building the contains Space Mountain that there are concrete structural beams on the outside of the building. This isn’t at all a usual practice in most construction plans because builders want to conceal the structural components within the inside of design so that the outside is more appealing. So this made the design very unique. 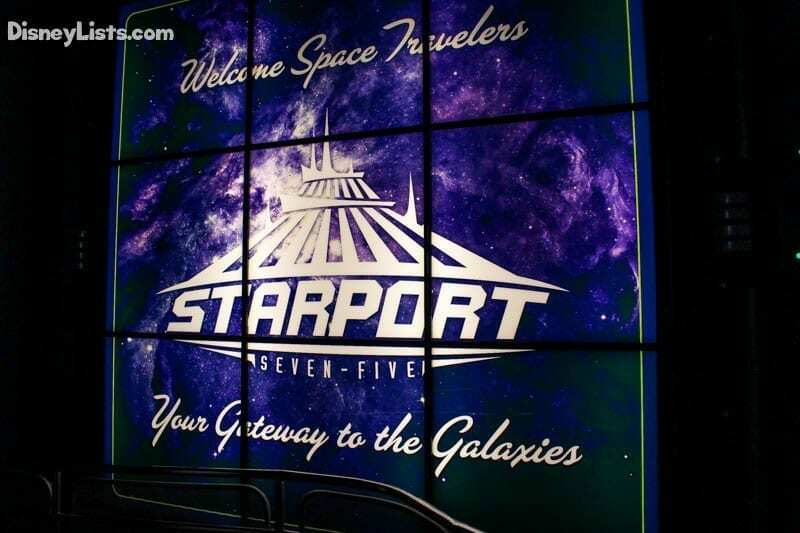 One of the main reasons for doing this when constructing Space Mountain was so that stars and lighting could be displayed on the ceilings and walls as part of your space-like transportation. You need smooth surfaces in order to really pull off the effect, and the supports would have taken up space on the inside and prevented a smooth surface. 5 – Intentional height of Space Mountain. The height from the top peak of the building is 183 feet tall. It was built to this height so that it didn’t rival the height and level of impressiveness for Cinderella’s Castle, since that was meant to be the most impressive focal point for the park. The building that contains the attraction is also 300 feet around, which is a huge and impressive building to contain this beloved attraction. 4 – First roller coaster to be controlled by computers. The technology that was put into place for Space Mountain was new and completely cutting edge for its time. The computer systems put into place allowed the system to determine the weight within the vehicles and control the speed at which the ride vehicles moved through drops and different points within the ride. This is a common practice in place for most every roller coaster that is constructed today, but that was unheard of during the time Space Mountain was built, making the attraction a real trend setter and piece of roller coaster history. 3 – Imagineers consulted astronauts when creating Space Mountain. We know that Disney is known for the level of detail that the imagineers go through in order to conduct research and create perfect experiences for guests with every detail considered. This is one of the reasons why the attractions are so immersive and beloved for years and years. When it came to building and constructing the Space Mountain experience, Gordon Cooper was consulted. He is a real astronaut that has gone out in space, and provided a consultative role to help make the best experience possible. We can see that paid off with how popular the attraction continues to be after all of these years. 2 – The steepest slope of the drops within the attraction is 39 degrees. I was shocked to learn this fact. When you are speeding through the dark into “space” the drops definitely feel much steeper. I think this goes to show how much of an impact all of your senses play into enjoying an experience and the perception about the experience. It is so much more than just the drops and ride path alone. 1 – Parents tried to carry a baby on the ride in a duffel bag. This is still one of the most appalling and sad stories that I have ever heard in regards to the crazy things that parents have be caught doing at a Disney park. There was a couple that were in line for Space Mountain with a duffel bag. They were questioned about the bag and cast member noticed the bag moving. They were asked to open the bag and come to find out their young baby was inside the bag. The couple intended to get around the ride height requirements so they could both ride by smuggling the baby on in a duffel bag. They definitely won’t be winning any parent of the year awards and let us hope that this child is safe and sound today. It goes to show that there are reasons for every rule and reasons why cast members pay such close attention to guest actions, and thankfully they do.